The Slammer. IMAGE: M Dannunzio. 500 SE 8th Ave., 503-232-6504. Looking to spend Thanksgiving Eve clearing up unfinished business with old high school classmates? 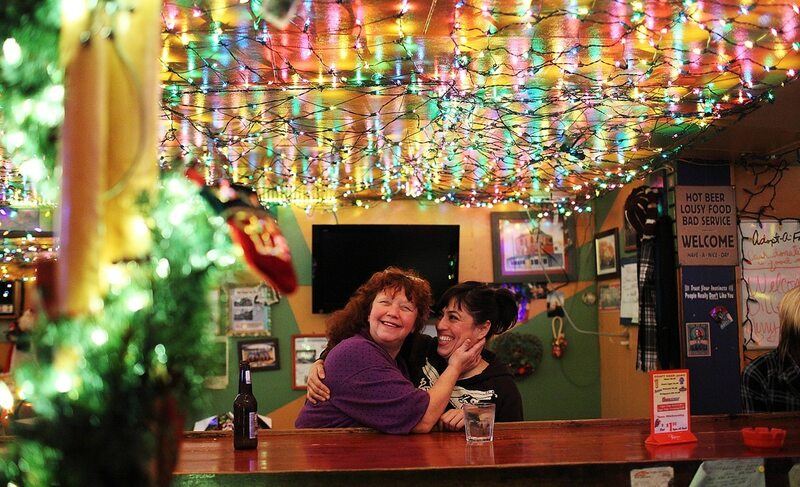 Chances are, you'll find half of them hanging out at this classic, Christmas light-festooned corner dive. Finally want to give that jerk Chad Farkus a piece of your mind? He'll be there, putting Chainsmokers on the jukebox. You know what to do. 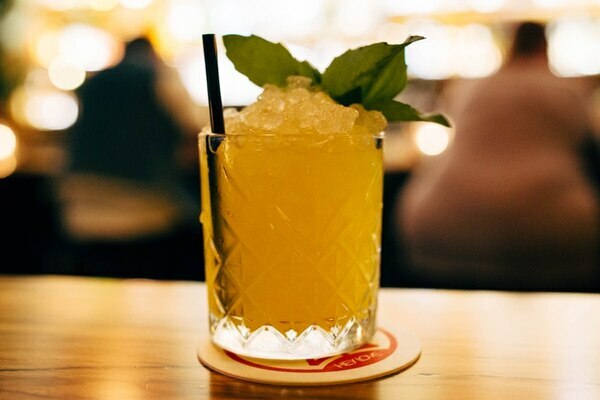 The retro tropical-themed bar inside the Jupiter Next hotel comes from a superteam of local food-and-drink pros. The décor is a flurry of highly photogenic touches from the South Pacific circa 1976, with intricate floral wallpaper, mismatched photos and a jungle of leafy plants that directly encourage the consumption of sugary, high-proof cocktails. 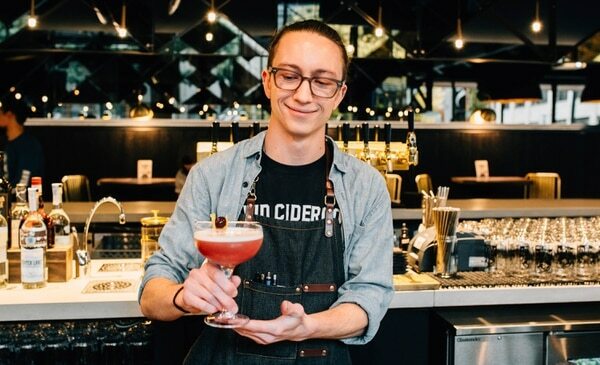 And not only is the bar open on Thanksgiving, it's also offering a $30 dinner plus appropriately autumnal drink specials. Read full review: Can the Chilled-Out Hey Love Succeed in East Portland's New Party District? Read full review: Monks Have Been Brewing Beer At Mount Angel Abbey For Years—and Now They've Opened Their Own Taproom. 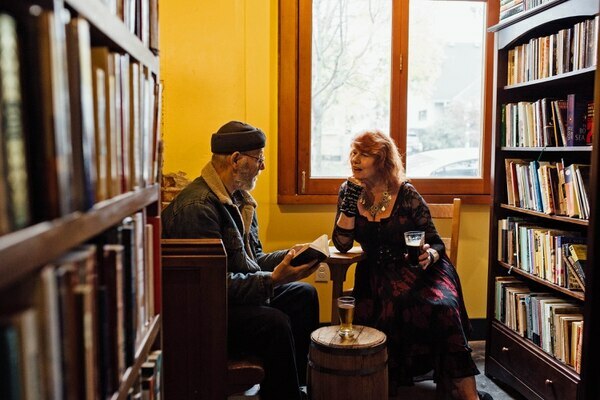 It has all the makings of a Portland cliché: craft brews, staged poetry readings, rows of old and obscure books. But don't be deterred by appearances. The simple bar manages to fuse two of the city's trademarks—beer and used books—without a drop of pretension. 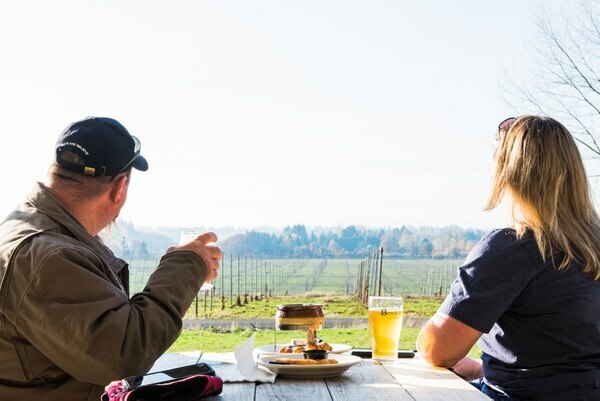 Read full review: Oregon's Second-Biggest Cidery Debuts in the Pearl.